From the point of view of your apiary, there isn’t a whole lot you can do in January, except to make sure hives don’t blow over, telescoping covers don’t blow off, hives don’t get covered with snow and they don’t starve (emergency feed honey, fondant or granulated sugar). So, I’d like to recap what’s happened this year. This year, at our club meetings, we had presentations from club members (Matt Allen, Naomi Price, Dennis Gallagher, Bindy Beck-Meyer, Ron Lane, Clyde Dildine, Allen Engle) as well as Dr. Ramesh Sagili and Heike Williams on topics including post mortems, splits and swarms, requeening: why when & how, varroa treatment efficacy, natural beekeeping, beekeeping myths, winterizing honey bees and winter bees. Dr. Jaime Thurk stopped by and briefly discussed the FDA's new Veterinary Feed Directive guidelines. COBKA also hosted two outside speaker events, bringing in Rich Little to talk about Mason bee husbandry and Dr. Lynn Royce to teach an anatomy lab. We also had a great potluck in August. Last February COBKA hosted our annual Beginners Bee School, organized by Patricia Moreland with lots of additional work by our steering committee. We then had a follow up meeting focused on students/new members questions. We had several hive inspection demos at member apiaries in the following months. Thank you to all our volunteers and participants! Our 2018 Beginner's Bee School will be here before we know it and our steering committee is rolling up their sleeves to welcome and educate area novice beekeepers. Heike Williams of OSU Extension in Madras has been teaching continual “Saturday in the Apiary” sessions demonstrating techniques and real-world problem solving. Her extension work and time volunteering with COBKA and the OMB program have been a valuable addition to the Central Oregon beekeeping community. We are proud of our efforts to support & promote the OSU Master Beekeeping Program in our region. There are 15 new Apprentice Oregon Master Beekeeper students and 2 new Journeyman Students in Central Oregon this year. COBKA provided 5 grants to help cover the costs for these students. We enjoy working with area OMB students and leadership and are fortunate to have this program in our region. Starting with this year’s OMB class, Clyde Dildine and Ron Lane will be the lead OMB Apprentice instructors. Congratulations to the new apprentices on dedicating yourselves to furthering your bee education! This year's apprentices are in good hands as Clyde and Ron take the reins from Naomi. Although we don’t have a formal mentoring program (for those who’d like to experience more of a formal mentoring program/education, the OMB program is a great option), we do have several experienced beekeeper members who’ve helped with regional hive and bee problems, answered questions, given suggestions after examining a hive and provided “hand holding” for new beekeepers while they’re getting more confident. We would like to recognize all area beekeepers who volunteer time assisting others, notably Dennis Gallagher, Naomi Price, Kim Rivera, Lee Heckman, Clyde Dildine, Allen Engle, Heike Williams, Misty Lee, Mary Wallace…we are very lucky to have such generous folks in our community. Thank you for being ready to take the call/email & share your experience. 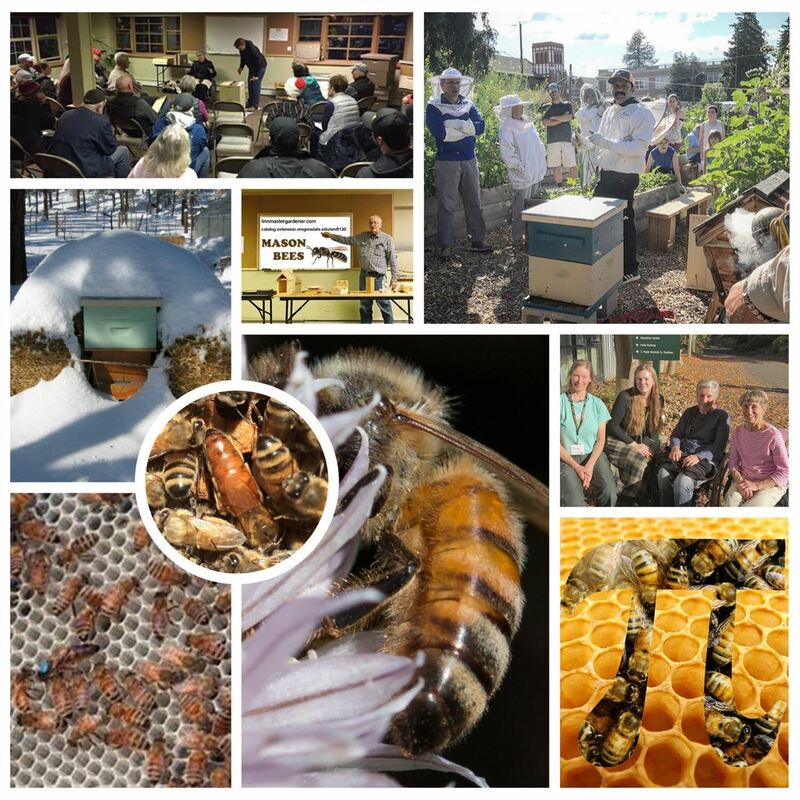 The Central Oregon Beekeepers Association (COBKA) is governed by our Steering Committee. This is a self-selected group of members who decide the upcoming meeting agendas, recruit and organize speakers, organize the beginner bee school, evaluate and administer grants to OMB students, organize and provide beginners corner facilitators, decide on club policies (social time at meeting start, snacks, outside speaker costs, equipment costs) make decisions on lending equipment needs, acquire and maintain lending equipment among other fun and exciting tasks. The only qualification for being on the steering committee is to be a club member and attend the Steering Committee meetings (no election or selection). Current active members are: Patricia Moreland (vice President), Naomi Price, Dennis Gallagher, Clyde Dildine, Larry Price, Steve Crawford (Treasurer), Misty Lee (Secretary) and Allen Engle (President). New members are always encouraged! Wishing you a warm, safe and successful New Year.